with billions of dollars spent on reconditioning each year. How much of THAT will be your income? Perma Touch is actively pursuing qualified individuals to join the Perma Touch team as independent distributors delivering the Perma Touch Process to dealerships in local territories. Tools to establish your business. Training to service your customers efficiently. Techniques to drive new sales. Customer care and support that is unsurpassed, to ensure your greatest possible success. 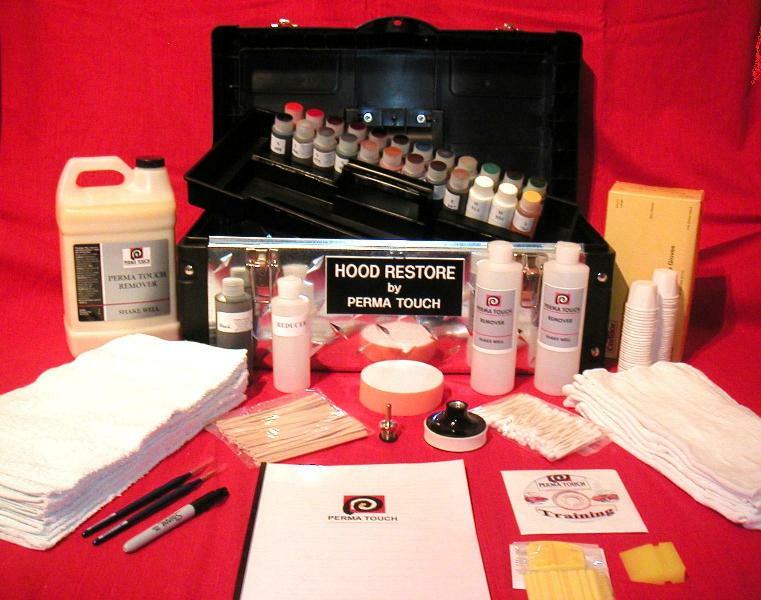 All the chemically treated paints and supplies you will need to restore any paint color. What Does Your Initial Investment Provide? The secret to your success is in the proprietary Perma Touch Formula with chemical rights owned by Perma Touch. Perma Touch has been used extensively to restore vehicle paint over the last 13 years with incredible success and is now available nationally. Your first kit comes with enough supplies to produce well over $10,000 in income with the Deluxe kit and $25,000 with the large kit. Your total return on investment can occur in the first month of doing business. * Training costs are additional, please contact us to check local availability. The following business plan has been provided as a target for success. By listening to feedback from our existing distributors, we know these assumptions are reachable. In addition, these assumptions are based on licensees’ adherence to the recommended level of service outlined during the training program provided by Perma-Touch. Our licensees have been successful by following the guidelines and suggestions discussed below. We want all of our Perma Touch distributors to fully realize their earning potential. The business case presented below will assist you in developing a business plan that will create the most success in your area. 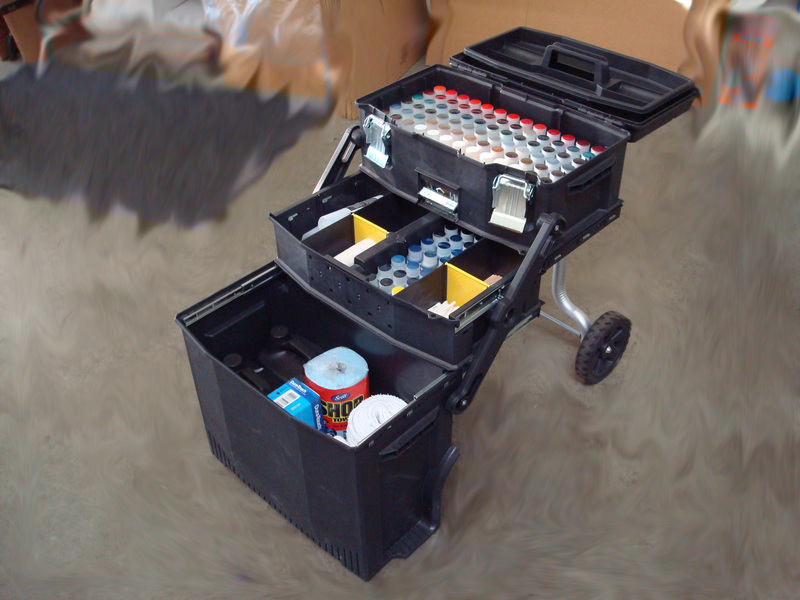 Each Perma-Touch Paint Chip Repair Kit is designed to complete approximately 200 cars per month. Revenue per car averages $70.00, for a total monthly gross revenue of $14,000! Supplies included in monthly licensing fee of $500 per month. Subtracting another $1,250 per month for miscellaneous expenses such as cell phone, gas, etc., you are left with a monthly net income of $12,200, or $146,400 annually. Some distributors use the Perma Touch System to increase revenue from accounts that they already service. Adding paint touch-up and restoration to existing services increases vendor value and revenue and builds customer loyalty. Please contact us for more information on becoming a Perma Touch distributor/licensee. # Assumptions are not a guarantee of success or profits but are merely used as examples of potential revenues and costs.